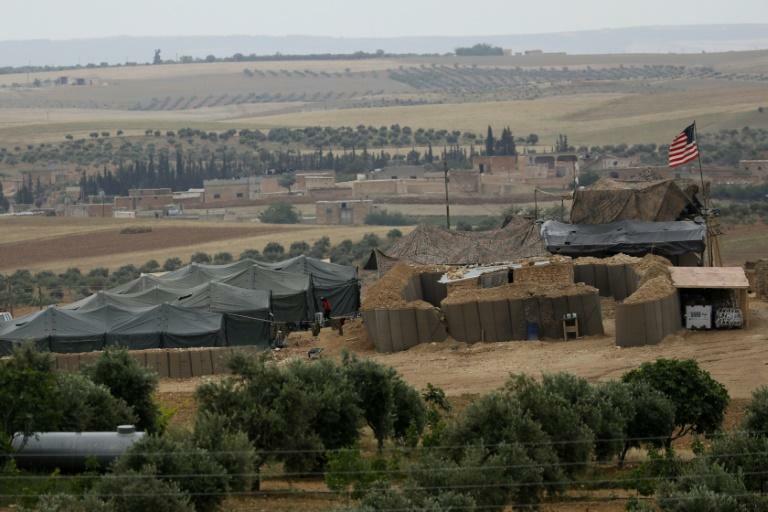 US-backed forces have repelled a raid by the Islamic State group targeting barracks housing American and French troops in eastern Syria, the Syrian Observatory for Human Rights said Saturday. "The attack targeted the oil field's housing, where US-led coalition forces and leaders of the Syrian Democratic Forces are present," Observatory head Rami Abdel Rahman said. Seven jihadists were killed in the attack, which ended at dawn after clashes near the barracks, he added. Contacted by AFP, neither the US-led coalition nor the Kurdish-led SDF were immediately available for comment. In October last year, the SDF took control of the Omar oil field, one of the largest in Syria, which according to The Syria Report economic weekly had a pre-war output of 30,000 barrels per day. "It's the largest attack of its kind since the oil field was turned into a coalition base" following its capture by the SDF, Abdel Rahman said. IS overran large swathes of Syria and neighbouring Iraq in 2014, proclaiming a "caliphate" in territory it controlled. But the jihadist group has since lost nearly all of it to multiple offensives in both countries. In Syria, two separate campaigns -- by the US-backed SDF and by the Russia-supported government -- have reduced IS's presence to pockets in Deir Ezzor and in the vast desert that lies between it and the capital.